La rencontre entre les auteurs, l'éditeurs et les heureux acheteurs de tickets a eu lieu le 2 mars 2013 et nous commençons à avoir des retours, en attendant les post de l'Equipe de Maestitita du Reclusiam). Just come back from BL LIve 2013 and thought I'd share some of the info! Feel free to add anything/comment etc. Please excuse the endless spelling mistakes I've had about 5 hours sleep (Rock City is not a kind mistress). - Favourite colour: Black, with bits of fire. "After the success of their desperate mission to Salvation's Reach, Colonel-Commisar Gaunt and the Tanith First race to the strategically vital forge world of Urdesh, besieged by the brutal armies of Anarch Sek. However, there may be more at stake than just a planet. The Imperial forces have made an attempt to divide and conquer their enemy, but with Warmaster Macaroth himself commanding the Urdesh campaign, it is possible that the Archenemy assault has a different purpose - to decapitate the Imperial command structure with a single blow. Has the Warmaster allowed himself to become an unwitting target? And can Gaunt's Ghosts possibly defend him against the assembled killers and war machines of Chaos?" - 50 books planned, so halfway through the series. - The Collected Visions book reprint is not a straight reprint. They've re-organised the background into more...logical blocks, so Isstvaan 3 background is grouped etc. The background has been updated to incorporate changes from the series, and they have added some new stuff covering battles in the HH books and other conflicts. Also, the caption typos have been fixed. And new artwork! - Membership to the Heresy team is invite only. 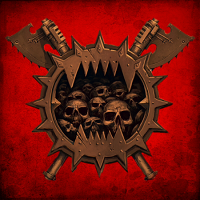 Post Heresy: - Once the Heresy series is finished, the team would like to cover events in the scouring, such as the fall of Caliban and Iron Cage. Warseer et mes compléments en BLANC. L'édition poche de Vulkan Lives (The Horus Heresy) [Paperback] de Nick Kyme (Author) The Black Library (21 Nov 2013). En prévision donc l'édition premium hardback sera vendue en ligne par la Black LIb à partir de mars ou avril 2013 (6 mois avant comme cela a été planifiée par la BL l'année dernière). 50 books planned, so halfway through the series. Auraient-ils déjà prévu la fin de la série ? A voir, mais si c'est effectivement le cas, les deux évènements cités (Caliban et la Cage de Fer) mèneront peut être à la jonction entre les deux univers (30k et 40k). Je ne suis pas contre tant que ça reste cohérent. 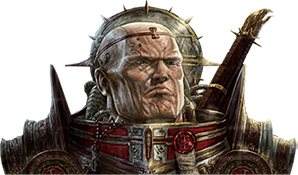 "Potential for an anthology of primarch origin stories. Jim’s working on secret stuff. More Garro. 4 full length audio products per year for HH - so that’s unabridged audio, then; or longer audio dramas. More on the war on Mars. John French working on Vengeance - follow up to Crimson Fist. More Sigismund, and more Imperial Fists; and SIGISMUND TAKING THE FIELD IN ANGER AGAINST OTHER MARINES. All glory to the hypnotoad!" Concernant l'Audiobook Vengeance de John French il a été déjà annoncé que Sigismund s'occupera dans le Système Sol des Word Bearers encore présents, a priori ceux de Sor Talgron qui n'ont pas participé à l'intervention d'Istvaan V.
-New Unabridged Audios are being released, with the SMB series getting them. The first will be Helsreach and Fall of Damnos. -Jim Swallow is working on more Garro audios. -A new audio series has been confirmed. They will be serialised audio-dramas based around The Night of a Thousand Rebellions at the tail end of the 41st millennium. Apparantely it will be 13 audios long and will feature Doom Eagles and Sisters of Battle at some point. -A new Ciaphas Cain audio has been confirmed. -An audio-book of First and Only read by Dan Abnett is a potential release and with other such releases as possibilities as well. -A 40k music soundtrack may be released featuring music from the previous audio-dramas. -Andy Smillie and James Swallow have confirmed a Flesh Tearers trilogy of books. They also hinted that the Flesh Tearers may not want to cure the Black Rage. - Nick Kyme is writing the second Dwarf novel. -Nik Vincent is working on a third Gilead novel with elf on elf action. Not sure if that means Gilead is fighting elves or getting some. -Josh Reynolds confirms the next two Vampire Counts ToL novels are titled Master of Death and Blood Dragon. 50 livres de prévu et on est qu'à la moitié ? Ils ne comptent pas toutes leurs novellas / audiobooks et cie ? Guilliman qui pense que l'Empereur mort... On ne croit pas, on se renseigne. Il me devient de plus en plus antipathique celui-là. ... Horus Heresy: Angel Exterminatus mass market format. Imperial Fists: Seventh Retribution by Ben Counter. Adeptus Mechanicus: Lords of Mars by Graham McNeill. His second book in the series. Orion: Tears of Isha by Darius Hinks. Sequel to Vaults of Winter. Horus Heresy: Honour to the Dead by Gav Thorpe. Audio. Iron Guard by Mark Clapham. Print version (currently available as an eBook). Horus Heresy: Betrayer mass market format. Salamanders Omnibus includes new short story about Tsu'gan! Time of Legends: Master of Dragons Chris Wraight. First novel in the War of the Beard trilogy. Horus Heresy: Censure by Nick Kyme. Audio about Sergeant Thiel. Horus Heresy: Unrembered Empire - Imperium Secundus by Dan Abnett. Trade Paperback format. Bane of Malekith by Bill King. Final novel in the Tyrion and Teclis trilogy. Gaunts Ghosts: The Warmaster by Dan Abnett. Imperial Fists: Malodrax by Ben Counter. Space Marine Battles. Legacy of Caliban: Master of Sanctity by Gav Thorpe. Second novel in the Dark Angels trilogy. Time of Legend: Master of Death by Josh Reynolds. Second novel in the Blood of Nagash trilogy. Cela complète mes oublis ou les titres non dévoilés alors. Je voudrai pas faire le chi..r de base, et la ramené, mais je voudrai soulever un point de détail. -Si il se trouve que cette remarque (non désobligeante, bien sur) ne trouve pas d'écho, serai alors possible de traduire, vu que certain d'entre vous maitrisez super bien l'anglais... Histoire qu'on participe au débat ou actualité ? PS: je sais, il existe des site de traduction sur la toile, je suis pas trop nul encore ! Je soutien Anval thawn, une traduction ou un déplacement de se sujet serait une bonne chose. 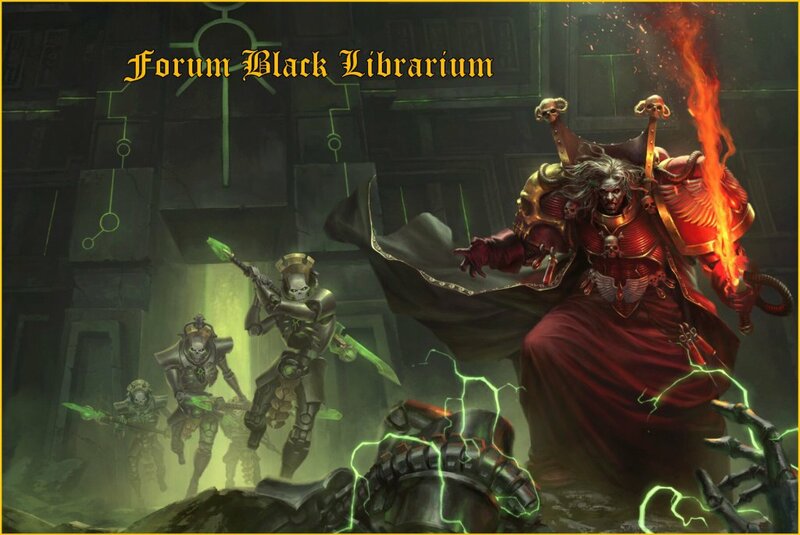 Le sujet a été déplacé dans la section News Black Library Warhammer 40K en VO (BL UK), où sa place est plus considérée. Merci Maitre de Guerre !!!! !